The town was mentioned by Yaqut al-Hamawi as "Simwel" which is thought to be a corruption of the Syriac Simmālā (ܣܡܠܐ) meaning "left". Another possible origin could be the Syriac Shemʻēl (ܫܡܥ ܐܝܠ), which means "the name of God". Historically, the region in which Simele was a part of Assyria during its existence as a nation and then province from the 24th century BCE until the 7th century AD. The town was converted to Christianity in the 2nd century and was later famous for its Syriac manuscripts. Its Assyrian inhabitants were belonged to both the Syriac Orthodox Church and the Assyrian Church of the East. Its Assyrians inhabitants were joined by Yazidis who settled the town in 1800. Both were in turn massacred by Mir Muhammad of Rowanduz. Later on, Arab tribes also started settling the area. Simele, in the early 20th century, was a very small Kurdish village. A significant Assyrian community reformed in the town during World War I in the wake of the mass migration from the Hakkari region of Turkey, due to the Assyrian Genocide by the Ottoman Empire against native Armenians and Assyrians. 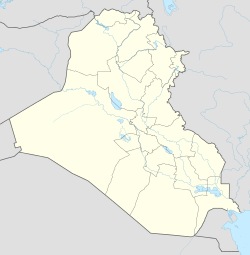 The Assyrian people, who resided in Simele and its neighbouring area, were subjected to a massacre on August 7, 1933, implemented by the Iraqi government. The massacre was the first state-sponsored massacre in Iraq's young history after the establishment of Iraq in 1921. An estimated 3000 Assyrians died during the 1933 massacre, most of them in the village of Simele. Thousands were forced to flee to Syria where they currently live in 33 villages of the Khabur plains, in the Al Jazeera region. The number of families in Simele — Kurdish and Assyrian — increased due to the geographical importance of the city and due to the destruction of smaller, nearby villages. Families were forced to migrate and to live in the larger cities and towns of the region. Having migrated from the neighbouring villages, most Simeleian families depend on agriculture for their income. Many villages in that area have plenty of seasonal water plants, tomatoes, and other vegetables. Many other people of Simele depend on trade as their source of income. In 1992, the University of Dohuk's College of Agriculture was founded in Simele. Around 170 Assyrian families currently live in the center of Simele. They are adherents of the two main denominations in the region: the Chaldean Catholic Church and the Assyrian Church of the East. The Chaldean Catholic church is named Mart Maryam (St. Mary the Virgin), while the Assyrian Church of the East church is named Umra d'Sahdeh (Church of Martyrs) in the honor of the martyrs of the 1933 Simele Massacre. Around a dozen Armenian families live in the town as well. ^ "Kurdistan Regional Government". KRG. Retrieved 2012-05-21. ^ http://www.fidh.org/IMG/pdf/iq350a.pdf — FIDH report on ethnic cleansing in Iraq, which describes the Simele massacre in the second paragraph of page 17. This page was last edited on 13 November 2018, at 17:19 (UTC).